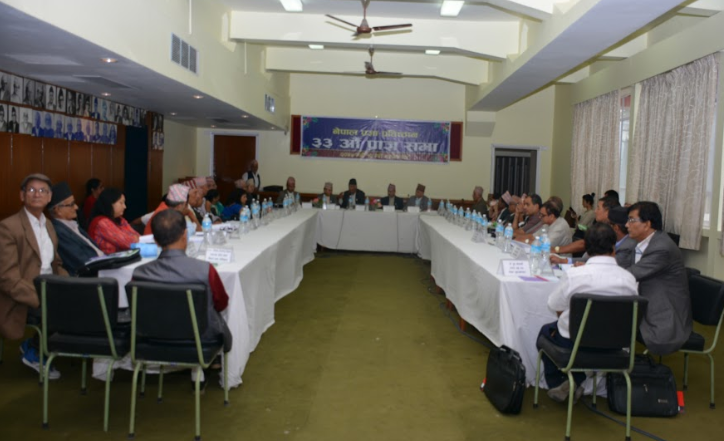 The constitution of Nepal Academy can be taken as an achievement of the political turnover of 1951. 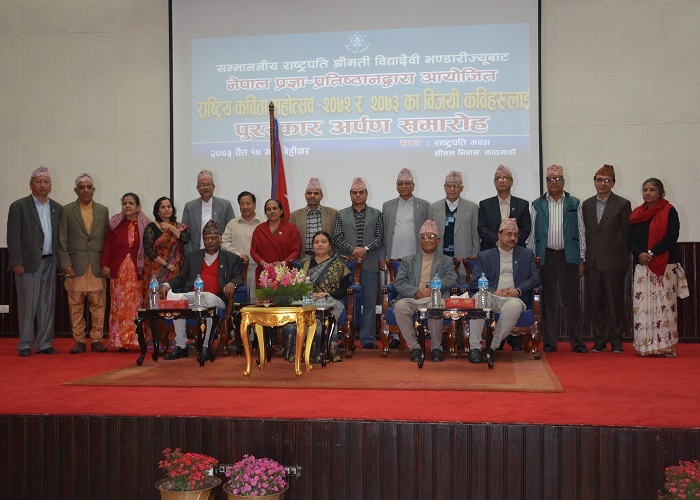 After the downfall of the Rana regime, significant achievements were made in the field of Nepali literature, culture, art and knowledge. In the free environment after the establishment of democracy, men of letter, artists, cultural activists and scientists started conducting new experiments in their respective fields. To include the suppressed creativity into the national mainstream, the need for a national autonomous institution was felt. But, because of political instability and disorganization, the constitution of such an institution was delayed. An institution that would represent the nation in the field of literature, culture, art and knowledge was finally established seven years after the revolution. 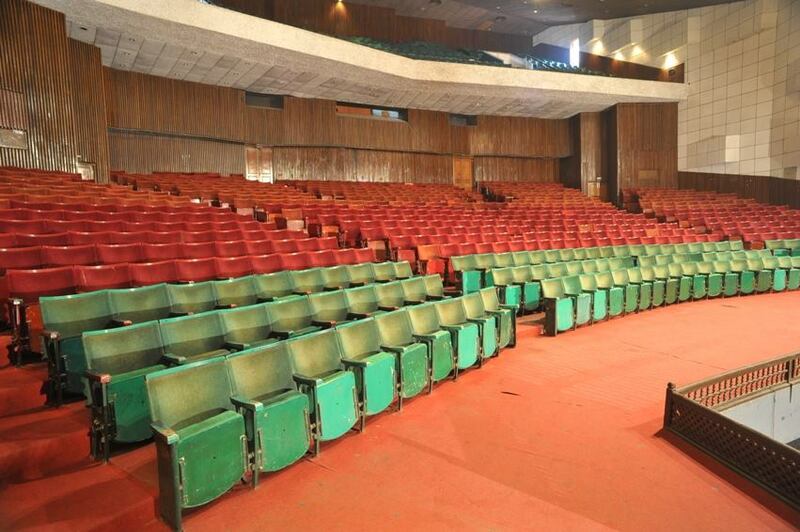 On June 22, 1957, His Late Majesty King Mahendra, founded an autonomous institution called Nepal Sahitya Kala Academy to promote the nation's glory through the development of literature, culture, art and knowledge. The name of this institution changed on many occasions. 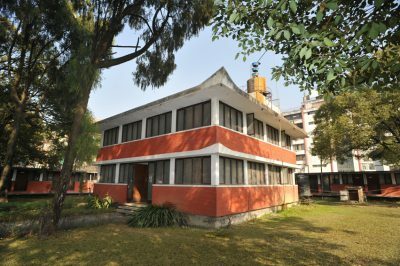 In the same year it was called Nepal Academy after the promulgation of the Nepal Academy Act, and it was renamed Nepal Academy on March 3, 1958. From April 1967 onwards it came to be known as Nepal Rajkiya Pragya Pratisthan. 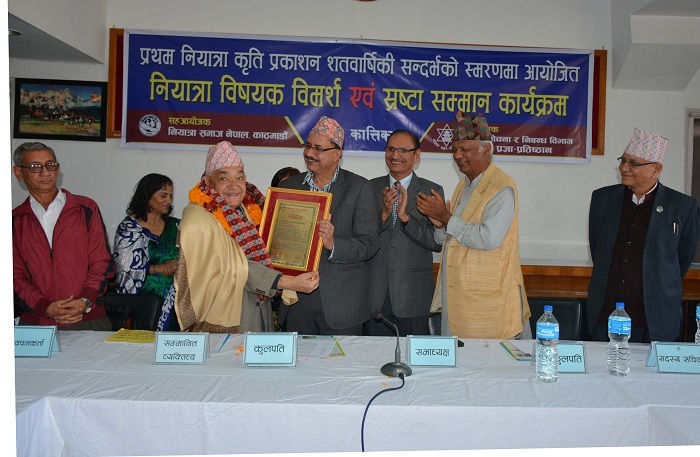 Now again according to new act 2007 it was renamed Nepal Academy. 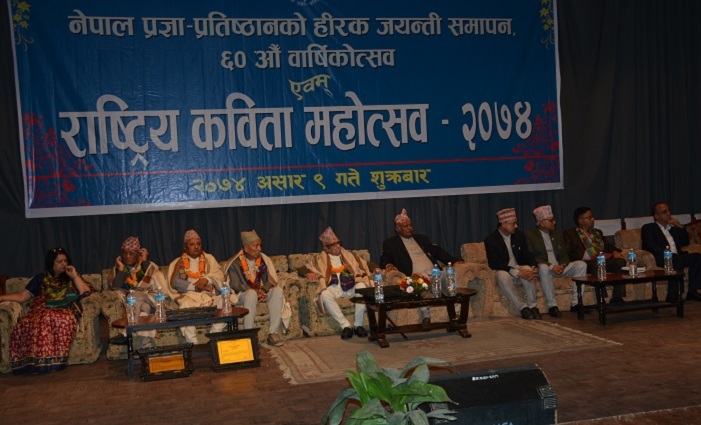 These acts brought about certain changes not only in its constitution but also in its function. 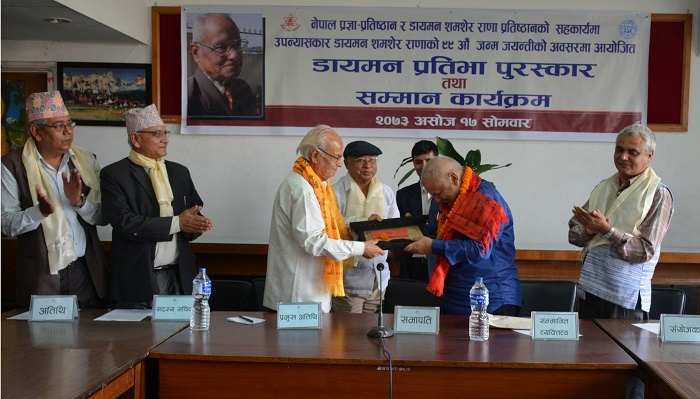 When it was first established, His Majesty himself was the Chancellor; but, later, this post was given to academicians who had rendered significant services in the field of literature, culture, art and knowledge. However, in the last act, the Prime Minister was made Chancellor and the Minister for Culture, Tourism and Civil Aviation was made Pro-chancellor. 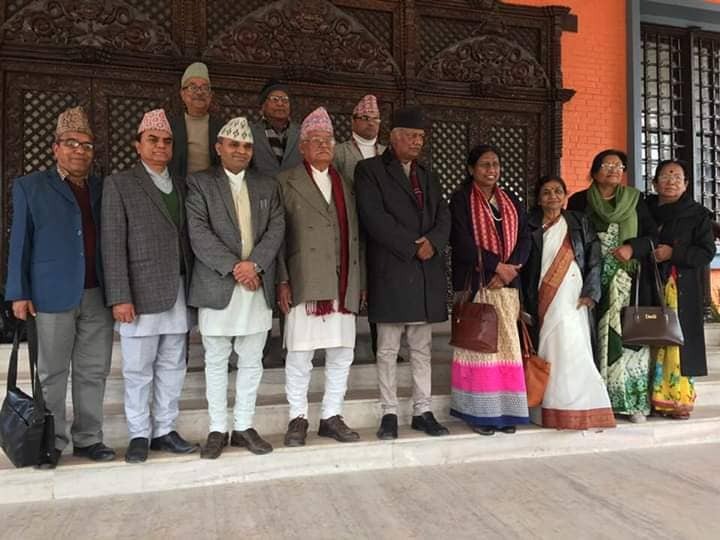 but at present according to the new act of 2007 the Prime Minister is the Chief Patron, the Minister for Culture and State Restructuring is Patron of Nepal Academy. 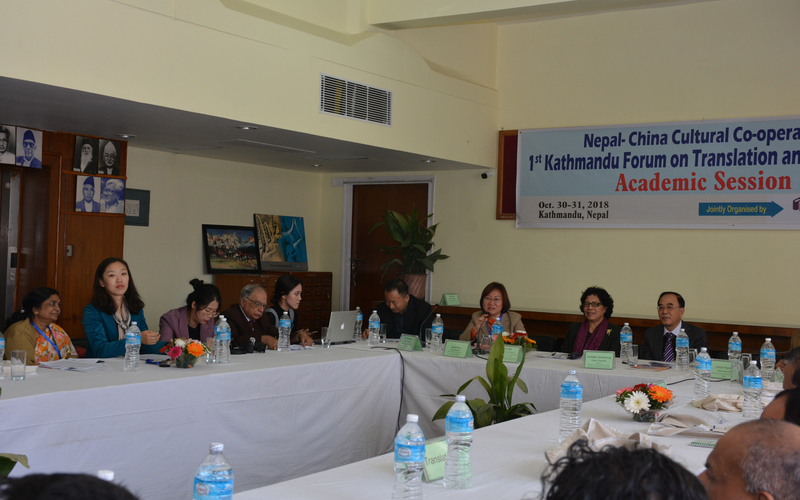 •	To maintain relations between Nepal Academy and various related international organizations. 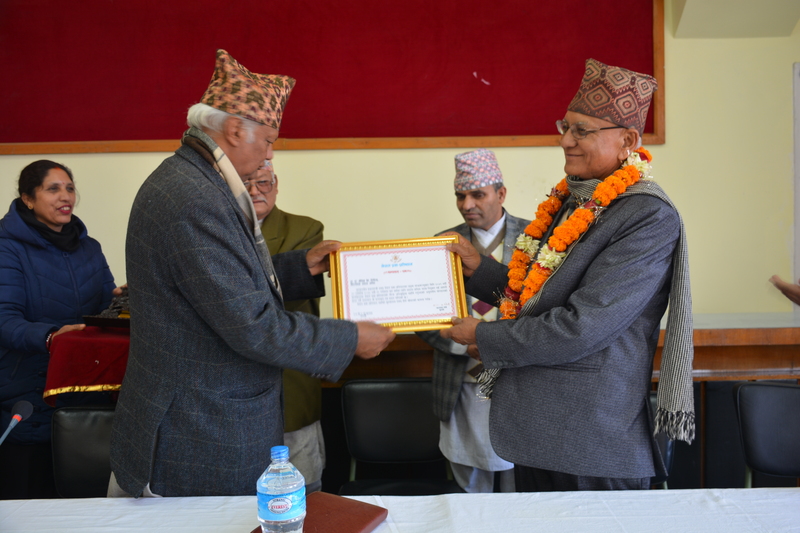 •	To accomplish other works related with Nepal Academy. 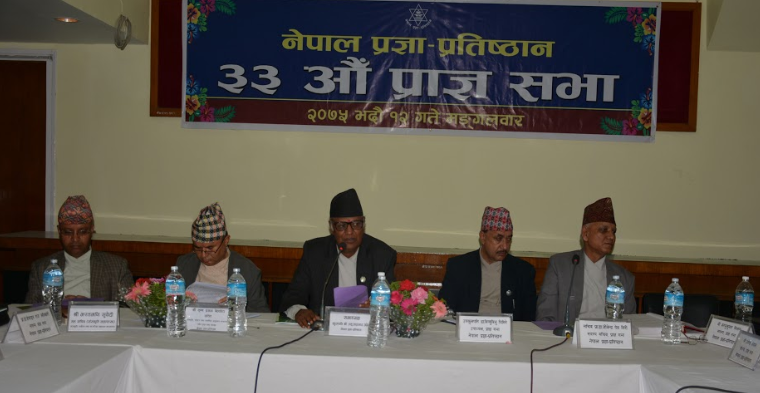 •	Publication of the studies made by different scholars under Nepal Academy's assistance. 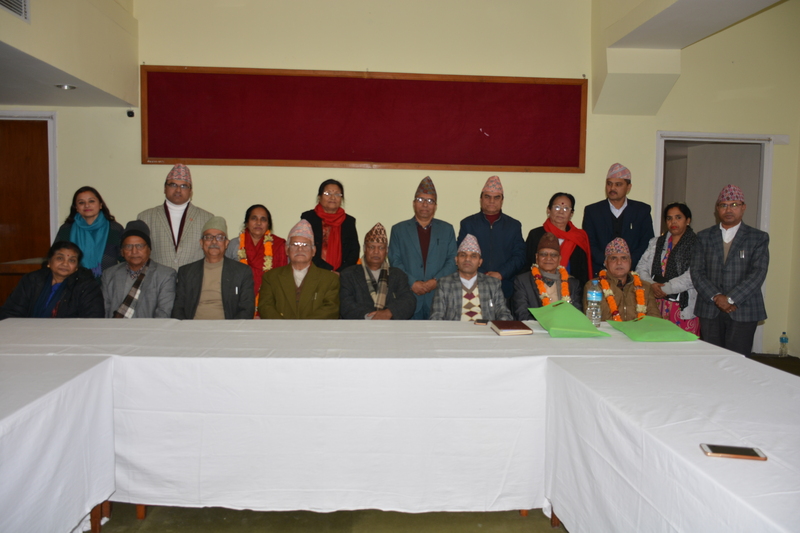 •	Writing of history of Nepali literature part-2. •	Organize seminar on world literature. 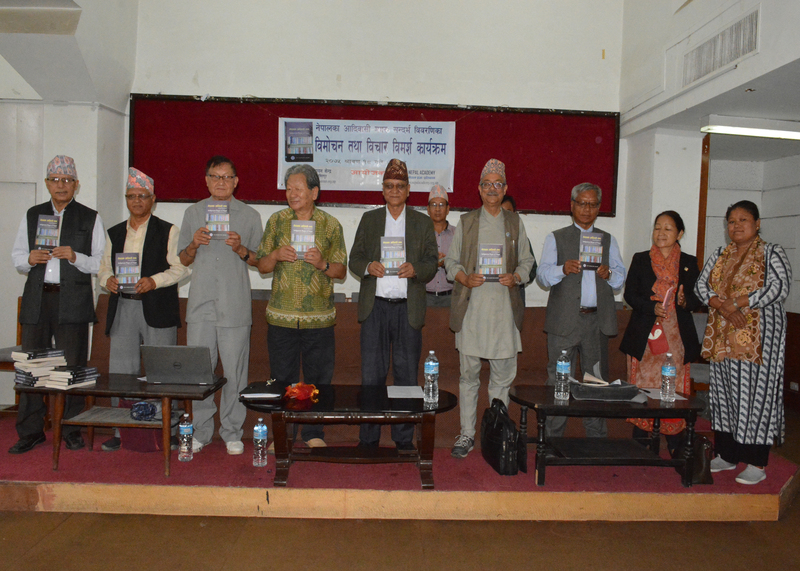 Translations of well known works of world literature into Nepali and of Nepali literature into English and other international languages. 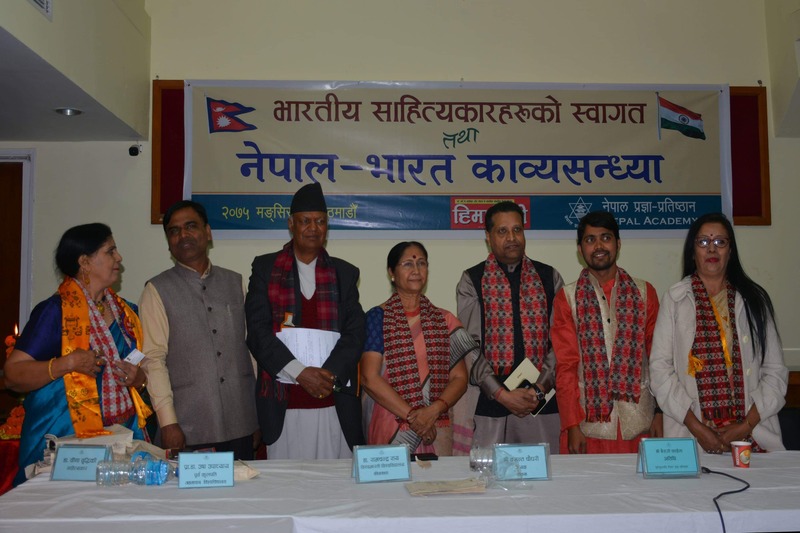 Similarly translations of Nepali literature into other languages of Nepal and vice verse. Organization talk programs, seminars, etc. 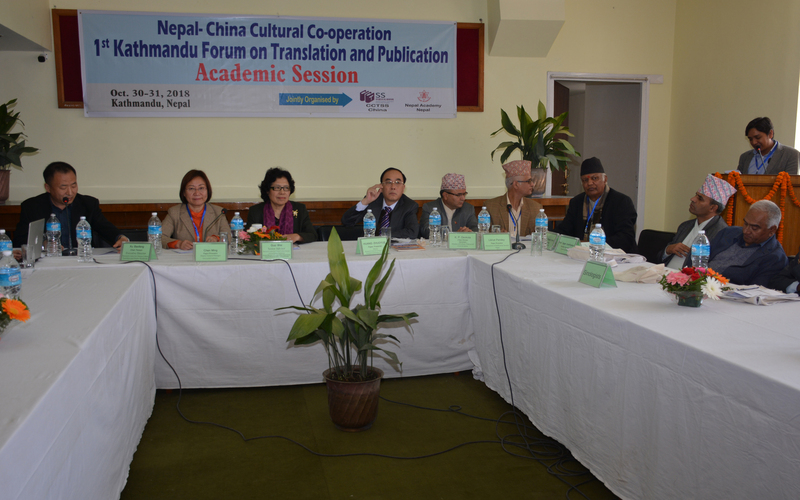 jointly with other literary bodies and associations, offering support and aid to such joint ventures. 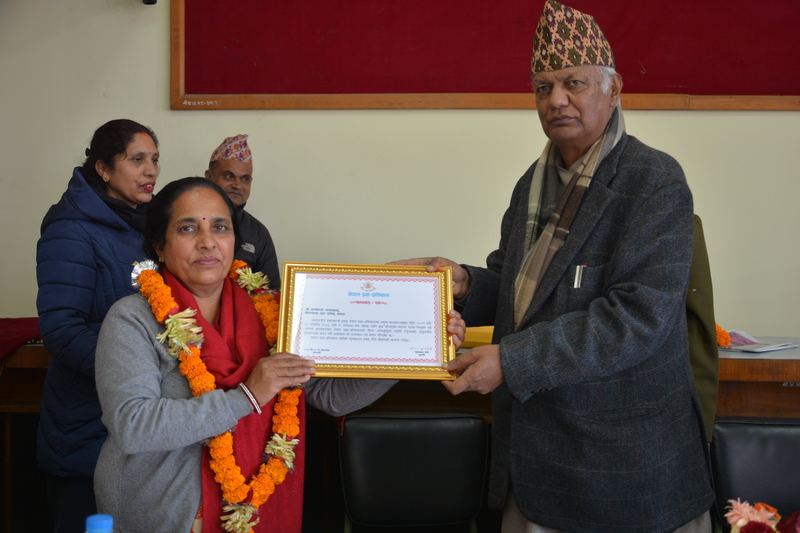 Academy organizes talks, lectures, seminars, poetry recitations, and other academic programs with the participation of eminent scholars artists and poets from Nepal and abroad. 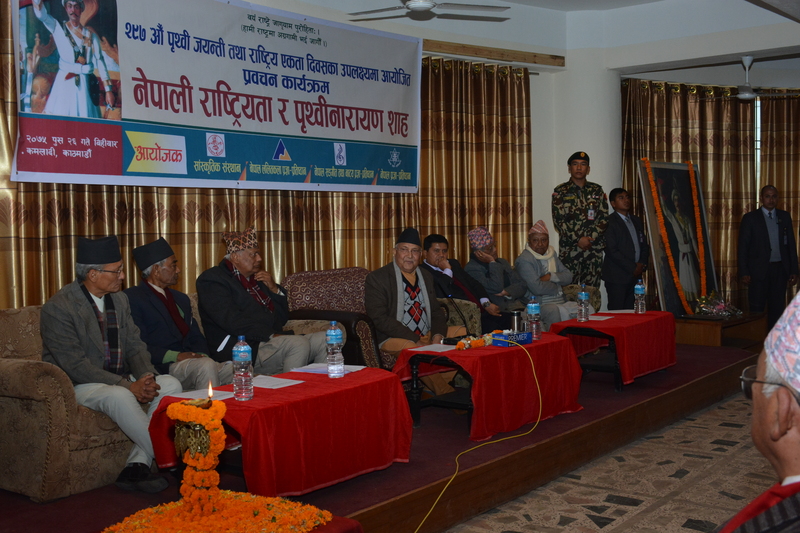 Currently, most of the programs have been conducted outside Kathmandu valley. 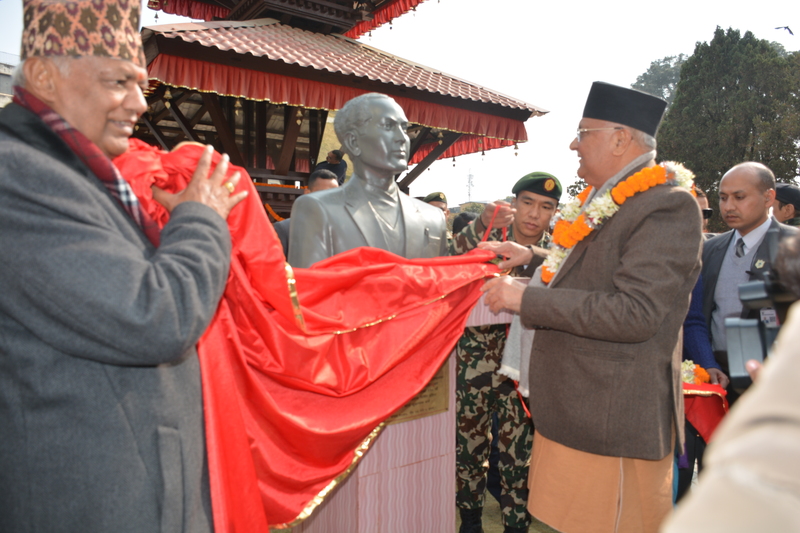 NA has also started installing statues of famous academicians and artists. 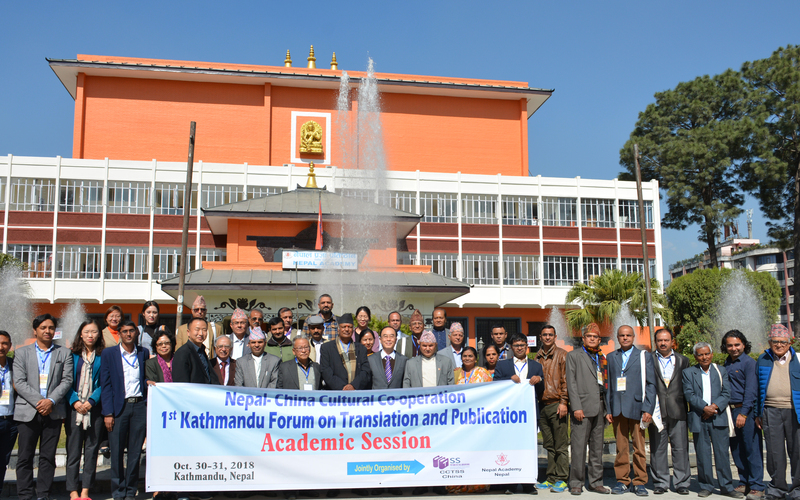 Nepal Academy grants fellowships every year to native and foreign scholars to conduct research on Nepalese languages, literature, arts and crafts, music, drama, culture and social sciences. National Genius Treatment Fund, established in 2004 (2061 B.S. 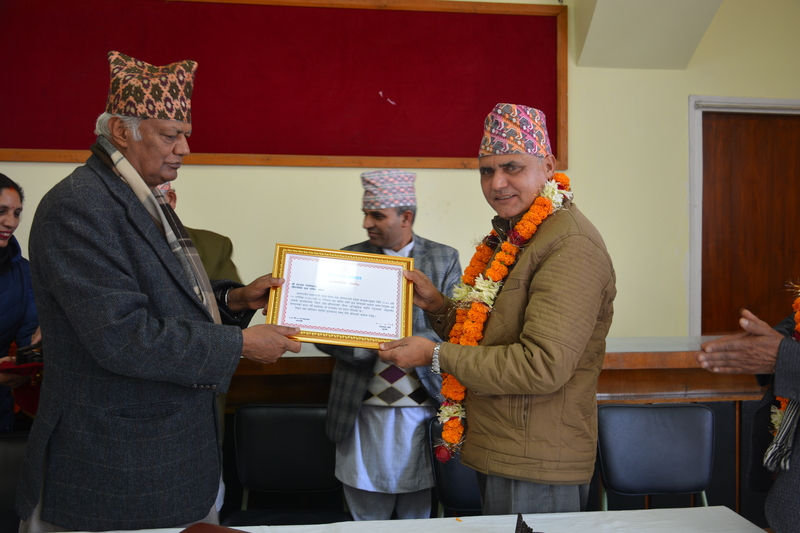 ), aims to provide due support to ill or indisposed academicians and scholars of national prominence contributing in the field of national and other languages and their literature, craft, art, music, stage performance, film, culture and social sciences. Literary Journal Support Fund, established in 2004 (B.S. 2061), aims to support literary journals published under individual or collective initiatives. Disbursement of this fund is based on the duration of publication, regularity, size, total pages, geographical or subject-wise circulation, number of readers, literary contributions, and other relevant factors.